Employing the latest extraction method, Brazilian Green Propolis contains the highest concentration of flavonoids. Certified organic, it is free from chemicals and preservatives. Propolis is a strong resinous substance from plants, used by bees for sealing hives. The adhesiveness smoothes out the internal walls and protects the entrance against intruders. Propolis is a natural antibiotic that protects the entire honeycomb from bacterial and foreign invasion. Research studies have shown propolis to be extremely beneficial in promoting good immune health in humans. The sources of Propolis can be found in various regions including Brazil, Australia, Europe, the United States and China. AFC Brazilian Green Propolis is 100% collected from Brazil Minas Gerais, away from industrial or agricultural chemical pollution. This region is home to a unique plant species which produces the best grade of propolis with the highest level of flavonoids. 1) Natural antibiotic. 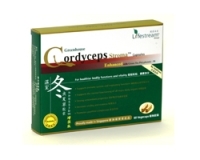 It provides natural defense against viruses and bacteria and it is safe for regular usage. 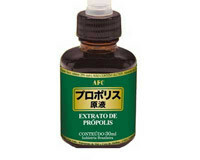 Research conducted in Japan demonstrated the capability of Brazilian Green Propolis to ameliorate influenza symptoms. 2)Protection against damage of nerve cells. Brazilian Green Propolis functions as an anti-oxidant to protect delicate nerve cells and helps prevent brain injury. 3)Heart and circulatory health. Flavonoids in Brazilian Green Propolis possess strong anti-oxidant properties that effectively reduce triglycerides levels, enhance good cholesterol, support health blood lipids and blood pressure levels. 4)Cancer therapy. Propolis is found to produce cancer cell inhibition. The suppression of the growth of cancer cells is believed to be highly associated with Artepillin-C, found exclusively in Brazilian Green Propolis. 5)Prevent diabetic complications. Brazilian Green Propolis promotes wound healing and supports cellular regeneration. It helps repair and revive pancreatic cells to enhance insulin levels, helps to regulate blood sugar to a healthy level. 6)Anti-inflammatory and anti-ulcer. Helps reduce itchiness and allergies. Proven to reduce the occurrence of ulceration. What is so special about AFC Brazilian Green Propolis? The grade of propolis is dependent on its botanical origins and the type of bees that produce it. The Minas Gerais forests are densely populated with rosemary (Baccharis dracunculifolia) and eucalyptus-type trees from which high-quality green propolis can be produced. AFC Brazilian Green Propolis is collected from the unexpanded leaf buds of Baccharis dracunculifolia plant by the Africanised honeybee. Only this bee specie has the capacity to produce Brazilian Green Propolis with concentrated Artepillin-C, a powerful constituent not found in propolis from other regions. Artepillin-C has strong anti-bacterial fighting properties and is well-known for its ability to suppress tumor growth. - Concentration of Propolis: 25% weight/volume, which means appropriately 7.7 grams of dissolved propolis. Adults : Take 1ml (1 full droplet tube), up to 3 times daily or as required. Children (age 2-12years) : Take ½ ml (half droplet tube), up to 3 times daily or as required. Take 2 ml (2 full droplet tube), up to 3 times daily or as advised by qualified healthcare practitioners. Note: Propolis is a mixture of beeswax and resins which contributed to its sticky nature. It may leave resinous stain on your cup the stain can be removed easily by using white rice wine. You can use a disposable cup to consume the product.